Bob Moore INFINITI is the place to visit for high-quality used cars for sale in Oklahoma City. At our used car dealership, Oklahoma City drivers can check out our large and varied inventory of excellent pre-owned vehicles. This inventory is one benefit to purchasing a used car, truck or SUV at our Oklahoma City car dealership. Feel free to talk to our sales staff about all our pre-owned cars, including any of the INFINITI models in our luxurious Certified Pre-Owned inventory. We are confident you will discover a used car that suits your needs. You can look at our pre-owned vehicles side-by-side to see which one is right for you. If they’re searching for reliable used cars, Oklahoma City drivers should stop by Bob Moore INFINITI. Browse our pre-owned inventory today. One more benefit to buying a used car at Bob Moore INFINITI is our inventory of Certified Pre-Owned (CPO) vehicles. Any CPO vehicle at our Oklahoma City car dealership must pass a rigorous 167-point inspection prior to earning its “certified” status. This is how you know that any INFINITI vehicle considered a Certified Pre-Owned vehicle is held to an incredibly high standard. You can test-drive our Certified Pre-Owned vehicles to see their quality for yourself. We provide you with the vehicle history and roadside assistance along with any CPO vehicle, as well. Our Certified Pre-Owned inventory is part of what makes the car-buying experience at Bob Moore INFINITI so enjoyable. Drivers can experience a wide array of INFINITI Certified Pre-Owned vehicles at our used car dealership in Oklahoma City. Talk to our finance team to find out more about the finance options we offer. Maybe a car loan is best for your financial situation. Whatever you need to know about our finance options – such as loan term, the payments you make monthly or car lease details – our finance experts will make sure that you’re well informed. You can ask them any finance questions you have and expect a helpful answer. If you don’t have perfect credit, that’s no problem. Our Finance Center will work alongside you to help you discover the best finance option for you. For useful advice about financing used cars, Oklahoma City drivers should come into Bob Moore INFINITI. Even though every vehicle sold at Bob Moore INFINITI is reliable, all vehicles need to get serviced now and then. If you need any kind of routine maintenance or auto repair service, count on the experts at our Service Center. Whether it is routine maintenance or complicated auto repairs, our certified technicians will help return your beloved vehicle to tip-top shape. The service specialists at our INFINITI dealer can also give you a great oil change. Our service department will change the oil in your vehicle as quickly as possible and perform this service correctly. To find great used cars for sale in Oklahoma City, stop by Bob Moore INFINITI. You can visit our dealership and find used cars for sale in Oklahoma City almost every day of the week. We are open on Monday through Friday from 8:30 a.m. to 9 p.m. You might have an easier time stopping by Bob Moore INFINITI on the weekend. If so, you can swing by on Saturday from 8:30 a.m. to 8 p.m.
Visit our website to see more information about our hours. When you check our website, you may also choose to receive alerts when prices change, new offers for used cars are added and more. You can also call us at 405-748-8000. We hope you stop by soon. 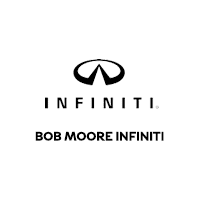 Visit Bob Moore INFINITI for a fun shopping experience.